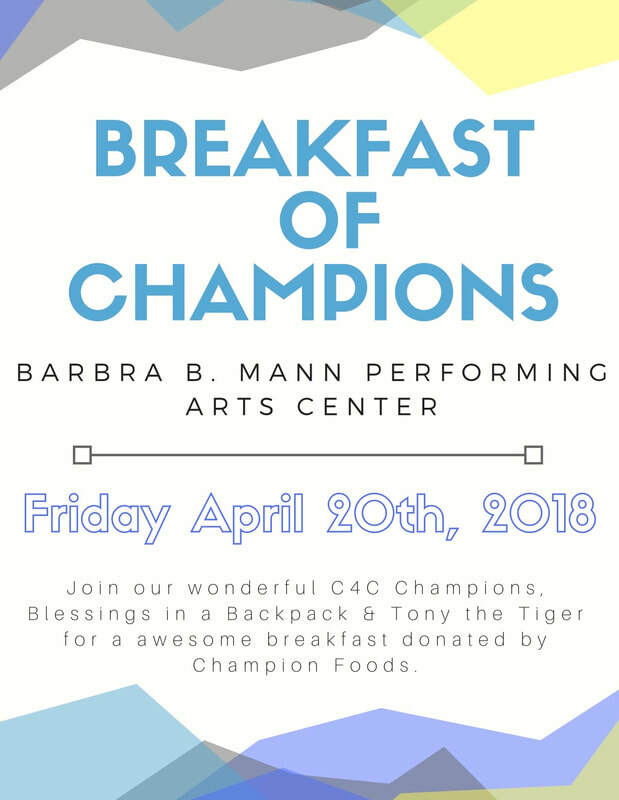 Champions will join Blessings in a Backpack Lee County at the beautiful Barbra B. Mann Performing Arts Hall along with children from local SWFL elementary schools for breakfast and conversation. Two of our amazing sponsors, Champion Food and Kellogg's have teamed up to donate the breakfast food and bring special guest Tony the Tiger along as well. This event will be incredible to be apart of and make and impact on the children who attend.